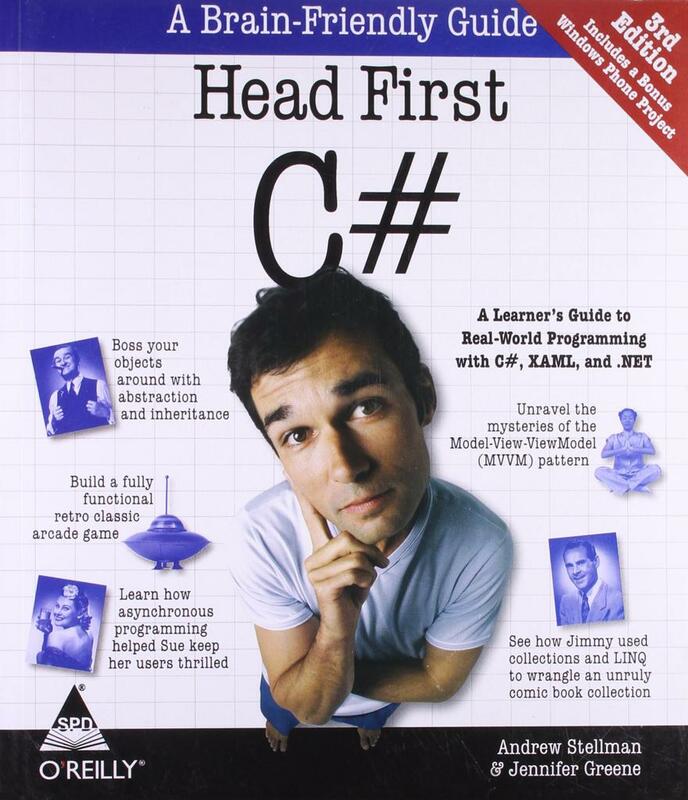 Head First C# is a complete learning experience for learning how to program with C#, XAML, the .Net Framework and Visual Studio. Fun and highly visual, this introduction to C# is designed to keep you engaged and entertained from first page to last. You'll build a fully functional video game in the opening chapter and then learn how to use classes and object-oriented programming, draw graphics and animation and query data with LINQ and serialize it to files. And you will do it all by creating games, solving puzzles and doing hands-on projects. By the time you're done, you will be a solid C# programmer and you will have a great time along the way! Create a fun arcade game in the first chapter and build games and other projects throughout the book. Learn how to use XAML to design attractive and interactive pages and windows. Build modern Windows Store apps using the latest Microsoft technology. Learn WPF (Windows Presentation Foundation) using the downloadable WPF Learner's Guide. Using the Model-View-View Model (MVVM) pattern to create robust architecture. Build a bonus Windows Phone project and run it in the Visual Studio Windows Phone emulator.